Liverpool Gin is odds on favourite for the best way to toast the Grand National this weekend, with its newly released limited edition Amberleigh House Gin available in 24 bars across the city. Just 300 bottles of Liverpool Amberleigh House Gin have been distilled and bottled to commemorate Amberleigh House and to celebrate this year’s event – and just like it’s namesake the gin has a winning spirit. Amberleigh House, winner of the 2004 Grand National, was owned by the late John Halewood, founder of Halewood Wines & Spirits, distillers of Liverpool Gin. 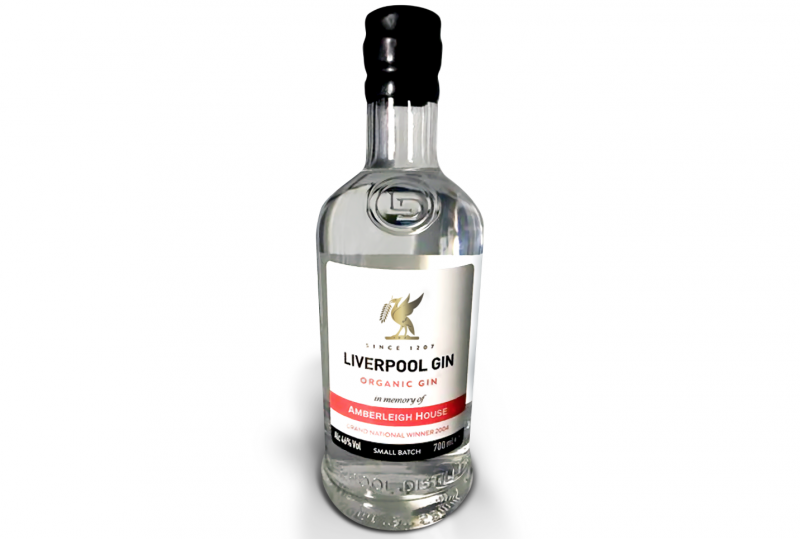 It is presented in a new look Liverpool Collection bottle, which is across the entire range, consisting of premium Liverpool Organic Gin, Liverpool Valencian Orange Gin, Liverpool Rose Petal Gin and Liverpool Vodka. It is ideal served in an Amberleigh House Club cocktail. Ingredients: 37.5ml Amberleigh House Organic Gin, 37.5ml lemon juice, 20ml sweet vermouth, 20ml raspberry syrup, 1 Egg White. Method: Shake all ingredients with ice and strain into a chilled coupe glass. Garnish with Juniper berries. The Liverpool Collection – handcrafted in small batches in celebration of its hometown heritage as one of the UK’s most historical ports – also includes the premium Liverpool Organic Gin, Liverpool Valencian Orange Gin, Liverpool Rose Petal Gin and Liverpool Vodka. To win a money can’t buy bottle of this gin, see our Facebook page.